The West Orange Church of Christ in Winter Garden, Florida invited Mike O’Neal to speak for two Sundays in August of 2015. He spoke the first week on “Spirituality and Spaceflight” and the second week Mike shared his research on angels and what we learn from their worship of the Father. In “Spirituality and Spaceflight” Mike shared his experiences from his 30+ years at NASA and delved into the spiritual life of our astronauts and what helps sustain them in their faith while in space. This multi-media presentation is moving, informative and inspiring. You will be in awe as Mike shares stories about the astronauts spiritual life and their faith in God and as you relive America’s greatest accomplishments in spaceflight. You will be moved to tears at the emotional testimonies of astronauts and how they were drawn to God and you will be inspired as you encounter God in a whole new light. Mike’s presentation will interest both the young and old and will attract outsiders who are have an interest in this topic. In Mike’s lesson on “Angels” Mike takes you to the throne room of God and you will be inspired by how the angels worship our Father. You will be impressed with the research Mike has done on the subject of angels, but mostly you will be touched deeply in your soul as you encounter the Almighty God from the view of His angels. I recommend these presentations without reservation. They are good for your church but they are also a great opportunity to reach out into the community with a great positive message that will inspire others. Mike O’Neal provided the Central Florida Bible Camp Men’s Retreat with three great lessons about Space and Spirituality and how the Angels Proclaim the Holiness of God. I was especially delighted with Mike’s first lesson about the spirituality of the astronauts. I loved listening to the actual recordings of the astronauts reading God’s word and sharing their faith. I also loved getting a taste of Mike’s message about the angels and the message that the angels bring to we humans about God. The messages by Mike at our weekend were way too short (not Mike’s fault but the nature of the schedule) and left me wanting more. I’m hoping to have Mike speak to our congregation one of these days. I have been able to get to know Mike through our monthly preacher’s meetings. I always enjoy listening to Mike share his heart in the various topics we discuss. Mike’s heartfelt spirituality and commitment to Our Lord really comes out in his seminar messages. Mike is truly a good and faithful servant to Our Lord and Savior. I highly recommend Mike’s lessons. In February, 2015 the Central Church of Christ in Sarasota hosted Michael O’Neal for an evening of Spirituality and Spaceflight. I had known Michael through his visits to Central while on vacation and through the Spiritual Growth Workshop in Orlando. I had read his book An Angel’s View and had heard of his presentation on spaceflight as it regards spirituality based on his days as an engineer at NASA. As church leaders we try to find ways to draw folks in so we can have discussions about spiritual things. Admittedly our culture is making this more and more difficult. We need substantive messages that do more than entertain, but also capture the interest of seekers. Michael’s presentation did both. He provided a serious discussion about faith produced and enhanced by spaceflight experiences, as well as providing us with an interesting approach and a not often heard message. Michael’s sincere and easy style of presentation allowed the message to speak for itself. We tried to make for a fun evening by providing space themed decorations and refreshments. We had a couple of astronomers set up a telescope to allow folks to view the night sky after the event. We did some giveaways to our guests such as space ice cream and some evidences brochures from Apologetics Press. We also held Michael over for Sunday morning to present two messages from his work on Angels, both of which were well received. Our attendance for all events was up, and the presentation on spaceflight attracted at least 30-40 visitors to Central. We were blessed to have Michael and would encourage others to have him come to your congregation. I first heard Mike at a conference in Daytona Beach, FL, and I knew immediately he needed to come and do a seminar for our church in East Texas. We titled our seminar “Encountering God through the Heavens and The Heavenly Hosts” and Mike was able to deliver lessons on Spirituality in Spaceflight, as well as other lessons on Angels and their roles in pointing us toward the Heavenly Father. Because of Mike’s past experiences with NASA and his extensive research on angels, each of his lessons were incredibly interesting and unique. This seminar was not only well received by the members of our congregation, but the community showed quite a bit of interest as well. Mike is an accomplished speaker who puts quite a bit into this media filled seminar. Throughout the presentation you are able to see both beautiful pictures of our world from space and historic moments in our nation’s history in spaceflight, and Mike does an excellent job of showing how God is glorified by so many members of our space program. Mike’s lesson which compares the Challenger Disaster and the Death, Burial, and Resurrection of Jesus Christ was fantastic. In this lesson he brings you into the launch room at NASA and you experience the thoughts, fears, and emotions that surrounded the Challenger Explosion, then he uses his extensive research on angels to help you travel in your mind to the throne room of God as Jesus was crucified. This lesson is powerful and unique to Mike’s experiences and research, and it definitely points to the greatness of our God. Mike O’Neal’s “Spirituality& Spaceflight” program was outstanding for our church family and campus ministry here at University City Church of Christ in Gainesville. His insights into how the men & women who have served this country in our space program and how God’s spirit impacted them on their journeys are amazing. I would highly recommend this to any church or group wanting to learn more about Christian evidences from NASA and the changed lives because of it. We were blessed recently to have Mike O’Neal with us to conduct a seminar dealing with his study of angels. Our people were excited about his being with us. Mike had obviously studied the subject very carefully and presented his material in a reasonable and interesting way. There were several things I appreciated about his presentation. One of the things I appreciated most, and to me was thought provoking, was how he emphasized what we can learn about God from our study of angels. I had been reading material about God, preparing for a series of sermons. So this was interesting to me. It was a great weekend. I can certainly recommend his excellent book, An Angel’s View and his seminar. “It is with honor and delight that I commend Mike O’Neal for an absolutely fabulous presentation in North Carolina in Rocky Mount and at Brooks Ave. Church of Christ Raleigh, NC. He presented “Spirituality and Spaceflight” in middle schools, high school, to college students, churches and in a large venue at NC Wesleyan College where the whole community was invited. Crowds were wrapped in attention and awe of the glory of God and in His magnificence. Although I’ve seen the presentation numerous times, I’ve never lost the sense of the awesomeness of God and the aliveness of the universe that is so powerfully portrayed by Mike. My lower jaw was on the floor and my eyes gushed with tears during much of these presentations. Dr. Bill Searcy, D. Min. “From liftoff to landing, Mike O’Neal took us on a remarkable journey all the way from the cross and tomb to the Moon and into the throne room of heaven. Through the thoughts and words of the astronauts, he offered never before heard stories of the spiritual dimension of spaceflight. “I’ll be honest and tell you that I was somewhat skeptical when approached by one of our members who had been contacted while Mike O’ Neal was in our area….to see if he could come and speak to our congregation. He spent the whole day with us teaching our Sunday morning Bible class on “Angels”, talking about “Holiness” during our worship period, and “Spirituality and Spaceflight” during our evening service. We were all captivated by his lessons and I was impressed with his scholarship and “common sense” approach in his presentations from the scriptures. His personal experiences, which were intertwined in the presentations, demonstrate his passion for the Lord during his work for NASA and now….even more so….in Ministry. 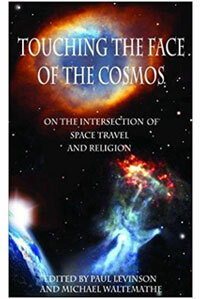 “It is my pleasure to recommend the Spirituality in Spaceflight program which was created and presented by Mike O’Neal. Mr. O’Neal worked as a manger at NASA prior to retirement. During his tenure there he was able to do research involving the outstanding men and women of the Astronaut Corps. His research and experience at NASA gave him phenomenal knowledge and insights which made him remarkably qualified to develop this presentation. Even if you are not a Space Program enthusiast, this is not something that you want to miss. It is well presented, eye-opening and stirring. It illuminates a unique facet of the personalities of the heroes who put themselves in danger to confront the challenges of space. Most of us recognize the fact that these individuals are outstanding leaders with grittiness, boldness and determination. This presentation gives us a glimpse into their vulnerability and humanity. It does not lessen our admiration for them, but rather inspires us and stimulates us to pursue growth in our own spirituality. “You know things went very well with a presentation when people are still talking about it days later. That’s exactly how it’s been since Mike presented his collective messages for the adult class during our 2012 VBS. He began Sunday night with an awesome presentation entitled, “Spirituality and Space Flight” followed by three more messages, Monday through Wednesday based on his book, “An Angel’s View.” Mike’s balance of knowledge, confidence, and humility not only captivated our adult crowd, but also provoked and engaged them to think deeper and realize how significant and meaningful the role of Angels has been in God’s plan. Mike’s extensive background with NASA along with his passion and willingness to serve God in this way make him a rare find amongst us as Believers. His ability to take science based subject matter like space flight, along with the on-going mystery of angels, and then easily convey an effective message to us as a diverse crowd, was impressive and very much appreciated. “Mike came to Boone and gave two presentations on Sunday morning which were based on his book, An Angel’s View. On Wednesday evening Mike gave a presentation on Spirituality and Spaceflight. Mike has clearly done a great deal of research in preparation for An Angel’s View and his dedication to the approach he takes to his work was evident in both of his presentations. Our congregation benefited greatly as we came to a deeper understanding of the role of angels as presented in God’s Word. The insight we gained into the role of God’s angels equipped us with a better understanding of God! Mike’s presentations reminded us of the depth of God’s love for us as well as the importance of our worship to Him. Additionally, Mike’s background at NASA combined with his knowledge of the Scriptures makes him uniquely qualified to speak on the subject of Spirituality and Spaceflight. His presentation captivated our attention as it emphasized the power and the majesty of our God! “It is with great pleasure Mike that I express to you my deep appreciation for your three exceptional presentations on “An Angel’s View” at the 2010 Spiritual Growth Workshop. Your rich research was evident and coupled with your unique background as a NASA engineer provided an insightful and inspirational view of the wonder and sovereignty of God through the biblical stories about angels. It was with considerable interest that each of your classes were so well received and attended. Thank you again for your contribution to the success of this year’s workshop. We invited Mike O’Neal to present a three part lesson (Sunday morning Bible class, Sunday AM worship and Sunday PM worship) on “What Angels Teach Us”. The Sunday he spoke was our Harvest Sunday and the building was full of members and visitors to hear his lessons. Many congregations were represented, some from other states. His presentations were informative, thought provoking and inspiring. His unique experiences with the Space Program at NASA combined with messages from God’s Word captured the attention of the audience in all three lessons. 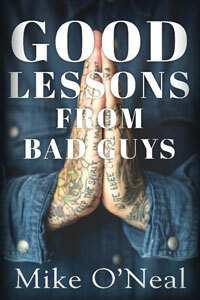 I would highly recommend these lessons and I look forward to reading and learning more about God and his Angels from Mike’s book “An Angel’s View”. Some time later, I was privileged to hear Mike speak in chapel, at Harding University Graduate School of Religion. There, Mike presented an inspiring devotional based on his research at NASA concerning “spirituality and spaceflight.” Mike’s presentation that day left no eye dry—the word “moving” does not do it justice. Through those presentations, and through conversations I had with Mike in the intervening years, I came to appreciate the passion with which Mike approached his studies and his work. And through the years, I have been excited to hear of Mike’s plans to turn his research on the subject of angels and on “spirituality and spaceflight” into first a book, and then a series of lectures. So when I heard that a church in Idaho had invited Mike to make a presentation at a church retreat of this material, I contacted Mike and asked if he would be interested in prolonging his trip west in order to make a series of presentations at our church. Mike enthusiastically agreed, and we began planning the event. From beginning to end, it was a pleasure to work through the planning process with Mike. Mike cares about details: he is organized, thorough, and thoroughly prepared. Our church worked hard to prepare for Mike’s lesson series, which we called “a four-part conversation” since “conversation” is connotatively more appealing than “lecture.” We advertised locally and across the state. In the end, we had people come from all across the State of Montana, traveling as much as five hundred miles one way to attend Mike’s presentations. Our small, small-town congregation was blessed to have a wonderful turnout to hear Mike; representatives from most of the other churches in town attended, making it a cross-denominational event. Mike’s presentations were each inspiring and informative. Mike’s deep knowledge and detailed scholarship on the subject were apparent to everyone in attendance. He spoke with conviction and clarity. He handled the questions after his lectures with the same confidence and knowledge evident in his presentations, and questions that were challenging, Mike handled with grace. Everyone came away from Mike’s presentations feeling as though it had been worth their time and effort to attend. A recent survey we conducted in our congregation asked for feedback from the congregation on Mike’s presentation, and the feedback we received was unanimously positive. The same is true for feedback we received from those outside our congregation who attended. Our congregation believes this was one of the most successful events we have held in years. I can give an unqualified recommendation to anyone considering having Mike come to make a presentation at their church, school, lectureship, or any other event. And knowing the type of scholarship Mike engages in, I look forward with anticipation the publication of Mike’s book. Director of Pastoral Care at Health First, Inc.